School is out for the summer, but Dominoes are in! 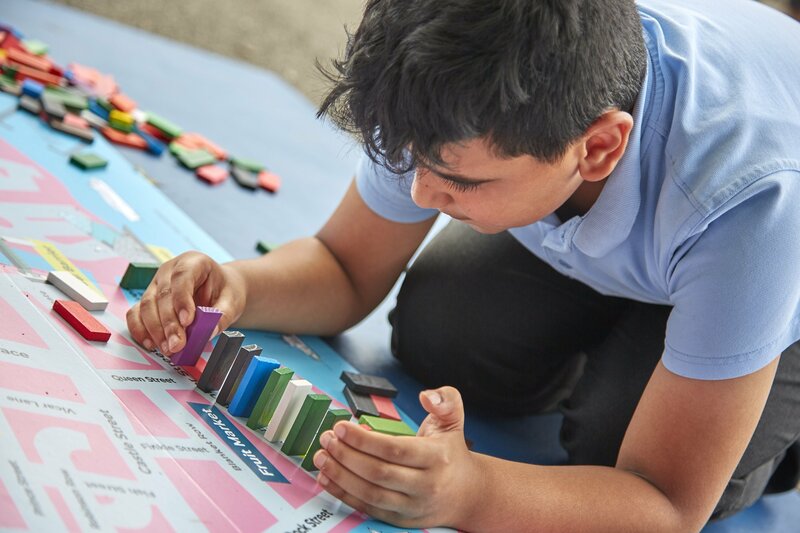 Selected primary schools across Hull have been enjoying a game of dominoes – with a Hull twist, as part of their end of year celebrations thanks to Absolutely Cultured. 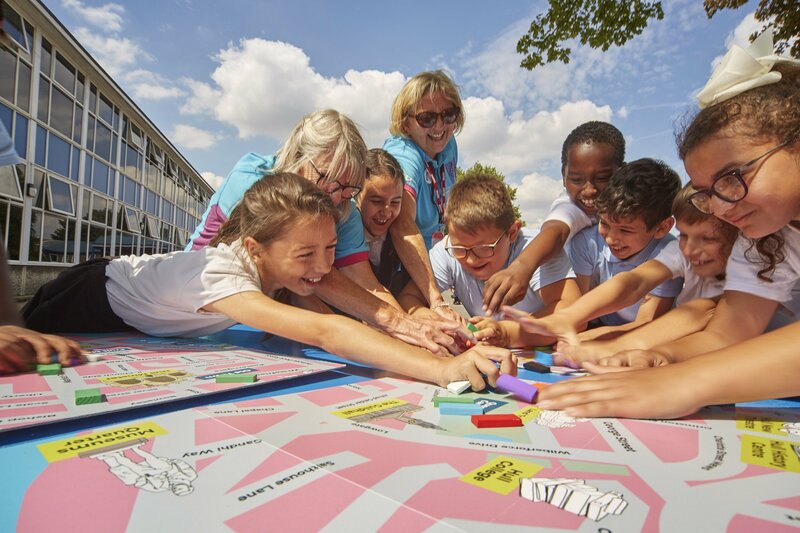 In advance of the Dominoes event on 11 August that will see a 3.5 km domino run take over Hull city centre, Absolutely Cultured created and distributed a resource for schools to design their own domino run, using brightly coloured dominoes and huge maps of Hull city centre. Students were able to discover the rich history behind some of Hull’s iconic buildings, share stories about their favourite parts of the city and learn new skills in event management such as designing posters and writing creatively about art. Absolutely Cultured staff and City of Culture Volunteers dropped into Adelaide Primary School to find out how the students had been getting on with their designs, and to let them have a play with the real sized dominoes that will be used for the main event on 11 August. 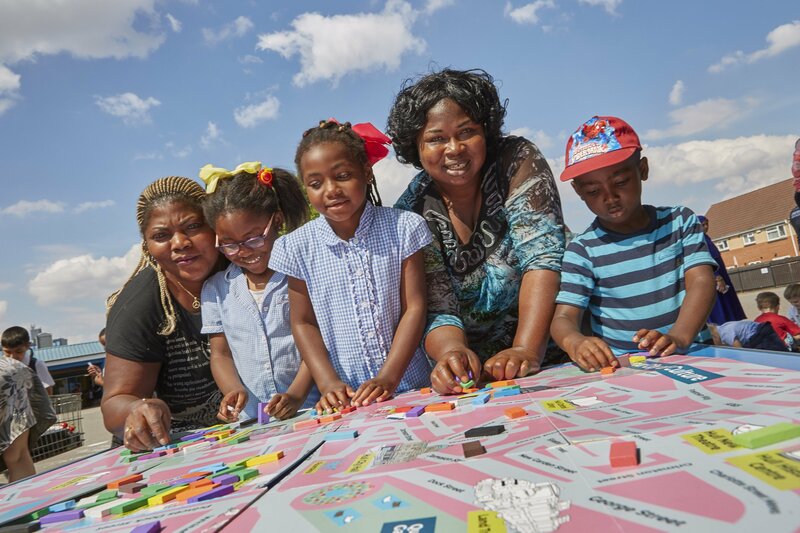 Absolutely Cultured has been engaging with the residents of Thornton estate especially, as Dominoes runs through the area from Australia Houses. The Dominoes schools’ resource has been really well received. The schools have been using the game as an opportunity to encourage team work, problem solving and lots of laughter ahead of the school summer holidays and many will be using it as the children return in September. 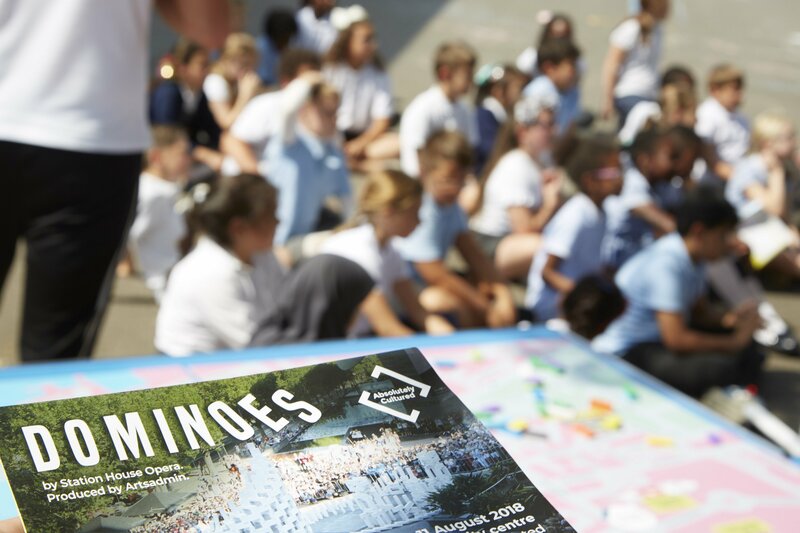 Brought to you by Absolutely Cultured, Dominoes, 11 August 2018, is an internationally acclaimed, site-specific event which will take over Hull city centre on a 3.5 km domino run that is free to attend. It will weave its way through streets, public squares and civic buildings, climb stairs, fall from windows and occasionally conquer a structure built from yet more blocks. Dominoes is by Station House Opera, produced by Artsadmin. The event is free and unticketed. You can download all the timings and a detailed map of the route here. Join in the conversation on social media @abscultured #DominoesHull.